I've developed a bit of an obsession with where Scotland's UEFA coefficient is headed, so I might as well go all-in and offer a preview of what is at stake in this week's Europa League kickoff. The places in the 2016-7 Europa League are actually determined by the coefficient at the end of the 2014-5 season, which is in turn made up of performance over the 2010-2015 time frame. For that, Scotland ranked 23rd. From the 2015-6 coefficient, they dip to 25th for next year's placings. That was actually caused by good performances by Sweden and Norway, rather than significantly worse play by Scottish clubs. The good news for Scotland is that as 2010-1 performances get wiped off the ledger, they are tentatively back in 23rd place (before 2016-7 results get added in). Again, that's not because Scottish performance in 2010-1 was bad (though it was), but because Cyprus and Israel had really good years that year, which no longer count. Azerbaijan was 29th in 2015-6, so they actually have three teams who have to enter in the first round. (One played an early game, hence why they have already picked up 0.125 points.) Thus they could pick up as many as 1.375 points, and pass Scotland as early as next week. By contrast, should Denmark's two teams lose all their games, Scotland's teams could pass them with a clean sweep. Reality will probably be somewhere in between. 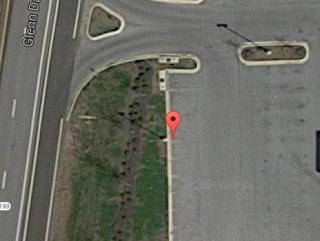 I got my first geocaching "first to find" (FTF) in late 2007. FTFs are an unofficial geocaching statistic awarded to the first person to find a particular geocache. I inadvertently picked up one in Australia almost a year later on an Earthcache. I hadn't noticed ahead of time that the cache hadn't been found yet. Well, since I've started to geocache again in earnest this year, I haven't had any new FTFs...until this weekend. I had a couple of near misses. In one, I got a new cache alert when I was at the allergist, and decided I would drop off a library book, then find it on the way to work...only to pull up to see the FTFer replacing the cache. Another one, I was at a nearby grocery store when I got the alert, but I searched to no avail. I don't want to offend anybody who hides caches there, but LPCs are about the least exciting type of caches there are. You're in a parking lot, messing with a lamp post, and hoping nobody asks you why. They're often placed apologetically with a note that it's a good cache if you're trying to keep a streak of consecutive days going. The one I missed FTF on after leaving the grocery store was like that, but it was placed in a magnet attached to the inside of the skirt. I came back later (after being assure it was there) and found it. Well, when I got an alert on another one this Saturday, I wasn't sure if it was an LPC. But the kids were happily enjoying a playdate, and it seemed like a good shot at an FTF. 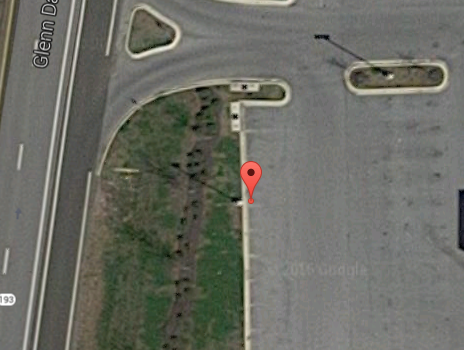 I drove up to an office park, and, well, from the Google Maps image, you can see that the cache location is pretty much right on top of a lamp post. There's no other place it can be. Still, it took me five or ten minutes of searching. This one was in a hide-a-key inside the skirt, and because it was black, I missed it the first several times I looked. A day later, nobody else has found it (or presumably, even looked for it). I think 11 of the 52 caches I've found this year have been LPCs. They are mainly good to satisfy some statistical metric, but I'd certainly prefer a nice container in the woods, or a virtual cache. As we wait for the June 30th kickoff of Europa League football (or the June 20th draw date), I thought of a new factor that I had overlooked in trying to figure out how Scottish clubs can be successful there. I've focused on the Scottish UEFA coefficient, which determines where the clubs enter the Europa League (or in Celtic's case, the Champions League). But the individual clubs also have UEFA coefficients. Part of that is determined by the national coefficient, but part is determined by the club's performance in Europe over the past 5 years. I didn't understand how that mattered until I saw an article about potential first-round and second-round opponents. Basically, at each round, the teams with the better coefficients are "seeded," and the worse ones are "unseeded," with each seeded team facing an unseeded one. So it's important to have a good club coefficient to make sure you have an easier opponent. Anyway, this re-enforces two principles I had already notice about the way the ranking works. 1. The Rich Get Richer. If you do well, you have a good coefficient, so you have an easier opponent, so you do well, so you have a good coefficient... This would seem fatalistic -- the rules are rigged against you, but there is a sub-principle which gives some hope. 2. It Is Better to Have a League Where the Same Teams Dominate. Before, I figured that was true because the richer teams likely have the resources to compete in Europe, as well as the experience from being there most years. But an underdog not only has to deal with a lower budget and less experience, they are also more likely to be unseeded. So how does that affect the current crop of Scottish teams? Celtic appears to be doing fine with the seeding in the Champions League. The threshold this year for first-round seeding is about 3.6 and for the second-round around 5.76. So this year Scottish teams are guaranteed to be seeded in the first round, but only Hearts will be if they make it to the second round. While this might be a reason to root for Motherwell or Saint Johnstone to have qualified, it's probably better for Aberdeen and Hibs to boost their performance for future seasons. How important is consistency? It looks like 3.460 is what a Scottish club with no European experience would get just from the country coefficient. So one year's experience is generally enough to get at least a seeded draw in the first round. On the other hand, if the second-best club in Scotland had been the same every year for the past five years, that club would have a 9.460 coefficient. That's probably not quite enough to be seeded in the third round, but it's close.